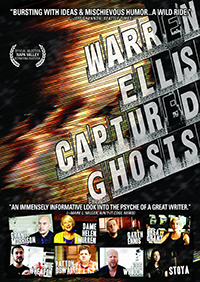 After a successful premiere at the Napa Valley Film Festival, Warren Ellis: Captured Ghosts is now screening worldwide! 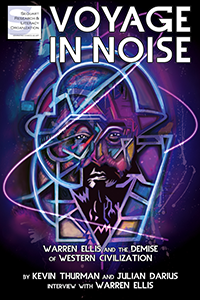 If you’re a fan of Warren Ellis and live within driving distance of any of the below cities, you owe it to yourself to buy a ticket and come see the self-proclaimed Internet Messiah in all his silver-screen glory! 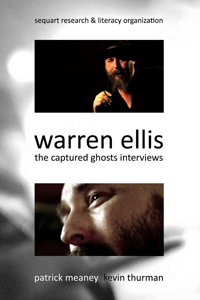 About the Film: Warren Ellis: Captured Ghosts, the follow-up to the highly-acclaimed Grant Morrison: Talking with Gods, features the most extensive interview Ellis has ever given. 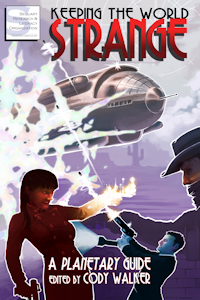 It spans his life, from his first memory watching the moon landing as a child to his recent cross-media success with the film adaptation RED. The documentary not only spotlights his iconic persona, it reveals the more nuanced person as well. 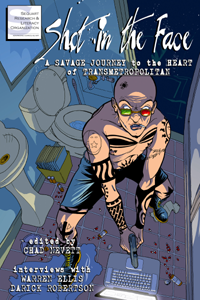 Complimenting Ellis’s own words are interviews with his friends, admirers, and artistic collaborators, including Dame Helen Mirren, Joss Whedon, Patton Oswalt, Grant Morrison, Darick Robertson, Matt Fraction, Joe Quesada, Phil Jimenez, and many more.